Started as a small radio manufacturer in Melbourne, Australia, Breville expanded into the kitchen appliance industry with the launch of their hugely successful sandwich toaster in 1974. 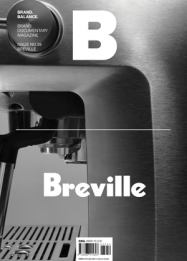 Through continuous refinement of the design and functionality of their products, Breville raised home kitchen appliances to nearly restaurant-level quality. Now, the brand is introducing a new paradigm to the industry by inviting world-famous baristas and chefs to join in the creation of espresso machines and juicers.